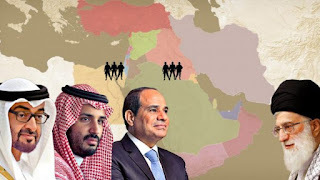 Egypt quit from efforts to form "ARAB NATO"
HomeafricanewsEgypt quit from efforts to form "ARAB NATO"
Egypt to gave up from efforts to form an "Arab NATO" as intended upon to work against Iran. Egypt quit from effort to form "ARAB NATO." Egyptians were said to be absent from a meeting in Riyadh at the beginning of last week, at which the alliance was discussed, Sources said. The development is a difficult setback for President Donald Trump, who along with Saudi Arabia had advanced the establishment of a coalition of Arab nations to counter Iranian expansion through the Middle East. "We all want Egypt to be a part of an Arab NATO," said the source, "especially as it has the largest army of any Arab nation, and because it carries importance." Iran commented that it was verifying the information, but that "if it is true that Egypt retreated from efforts to form an Arab NATO, we welcome this."